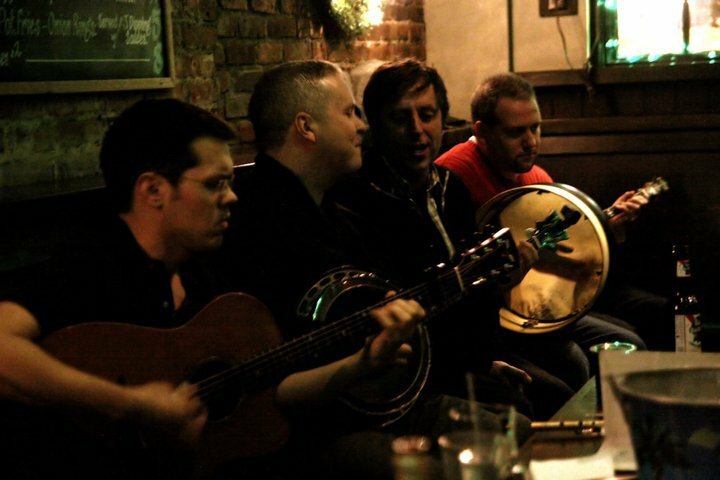 Irish trad seisiuns (sessions) are informal gatherings of musicians playing traditional Irish music, often held in Irish pubs. Every Sunday, 4-7pm with John Redmond & friends. The evening will be a participatory experience for the audience, including dance lessons and an all welcome seisuin. 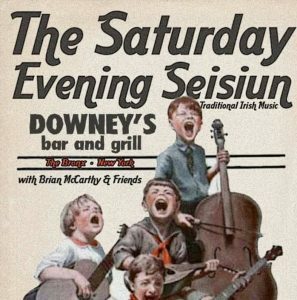 9pm – Seisiun (Irish Music Session) with Deirdre Corrigan, Bernadette Fee, Dan Gurney & friends. Mondays 8pm with Don Meade and friends. No cover. Swift: 34 E. 4th St. (between Bowery & Lafayette) New York, NY (212) 260-3600. Every Tuesday, 9pm – 1am. No cover charge. Brooklyn’s Finest Trad Seisiun. 10pm. Come early for lessons. Chris Byrne teaches beginner tin whistle class. just north of Washington Square. Fridays, once-a-month, Blarney Star Productions presents: Concerts at Glucksman Ireland House. 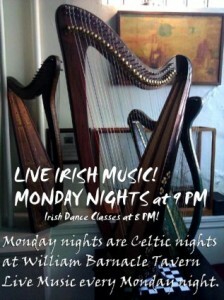 Monthly Irish music concerts. There is a cover charge.